The Walther PPK/S 177 BB C02 air pistol holds approximately 15 4.5mm bbs and will fire them as fast as you can pull the trigger. The Co2 PPK has a full blowback system to give you realistic recoil and this pistol is made from a heavyweight steel construction. 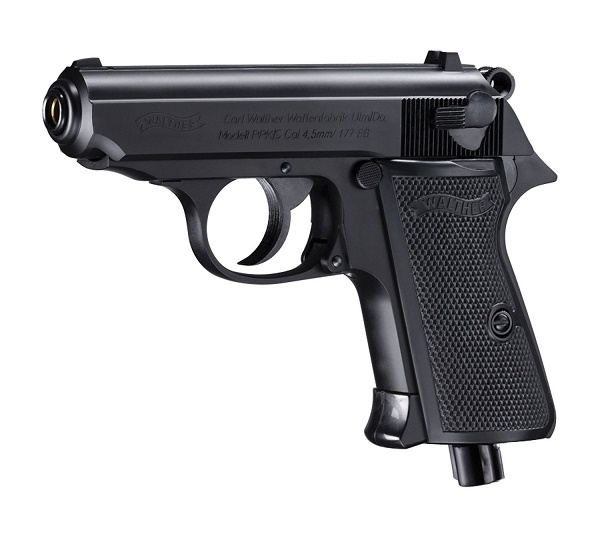 The overall length of the Walther PPK is 6.1″.